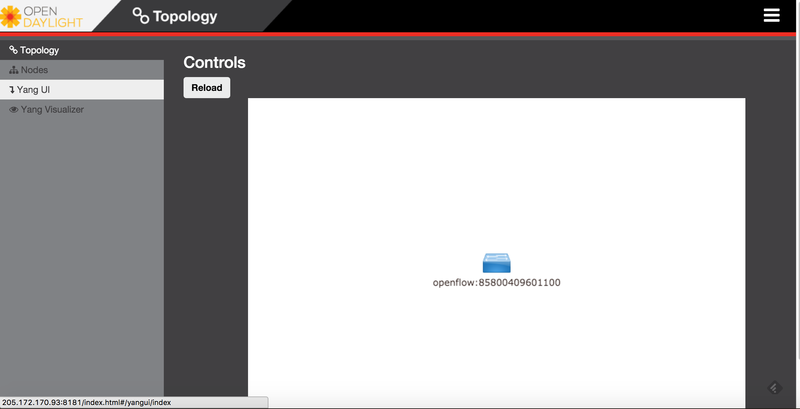 I am going to demonstrate the configuration of a simple SDN using openvswitch and OpenDaylight controller. The topology we are going to use is as shown below. In my setup all the nodes are running Ubuntu 14.04. Login to the switch and do.. Note down all the interfaces which are connected to neighboring switches or to hosts. Do not consider the interface that is connected to the controller. 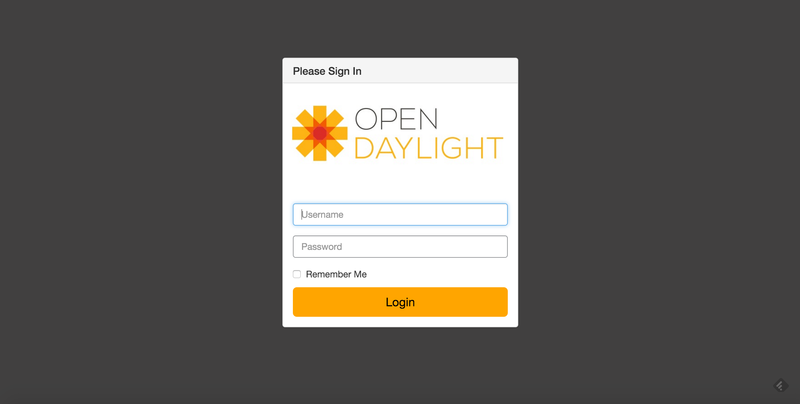 We will be using OpenDaylight controller, Lithium release for this demo. Login to the machine that will be configured as the controller and download ODL Lithium release. You can download whichever release you are interested in. I have downloaded a tar ball and will proceed from there. This will start the ODL controller and ODL prompt appears. For the controller to learn the topology and for us to make use of the web UI, we need to install odl-restconf odl-l2switch-switch odl-dlux-all at the ODL prompt (NOTE: odl-dlux-all installs some additional modules that provide you the ability to see node ports and flow tables. If you do not need this, you can just install odl-dlux-core). After the installation is completed, shutdown the controller and restart it. I have observed that the installed modules do not work immediately and restart of the controller nicely works :). It’s mentioned in the ODL wiki that it takes approximately 3 minutes for the controller to load all modules and start working. So give it some time. After that, point your browser to “http://<ip-address-of-controller&gt;:8181/index.html”. This should launch the web UI as shown below. Use localhost if you are on the controller or use the management ip address configured. Use “admin/admin” to login. After a successful login, you should see the switch being recognized by the controller. 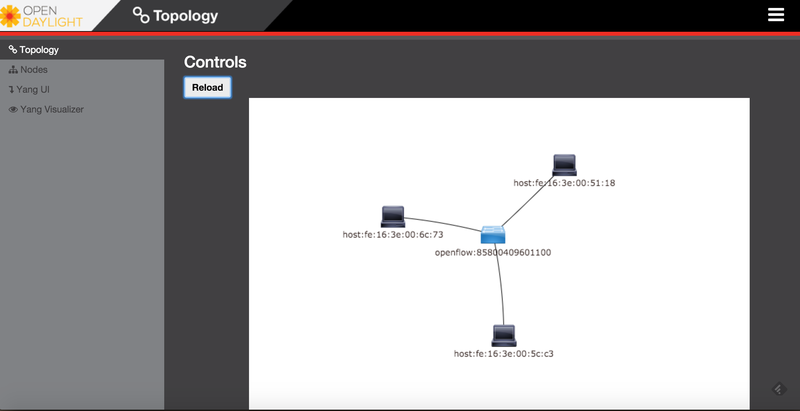 Now, from any of the hosts, ping others and refresh the topology in the web UI. You should see a complete view of the network. The network is fully operable now. Cannot ping hosts from each other – Ensure that the interfaces that form the bridge on the switch are enabled. Install wireshark on the switch as well as controller and capture packets on the interface that connects the switch to the controller and vice-versa. Verify whether PACKET_IN and PACKET_OUT messages are being sent and received. You would have to download a version of wireshark that has support for openflow. Login failure in ODL web UI – The auth module has not loaded and initialized yet. Give it some time and it should work. No topology seen in the ODL web UI – Same as above. Give it some time.